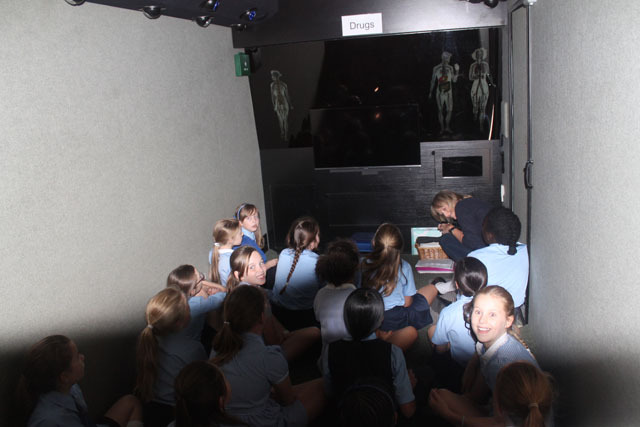 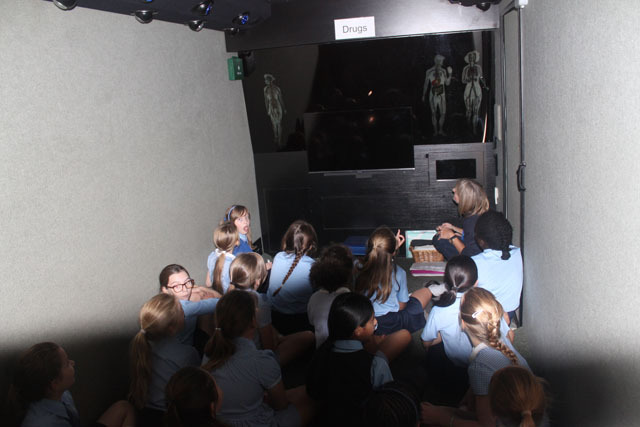 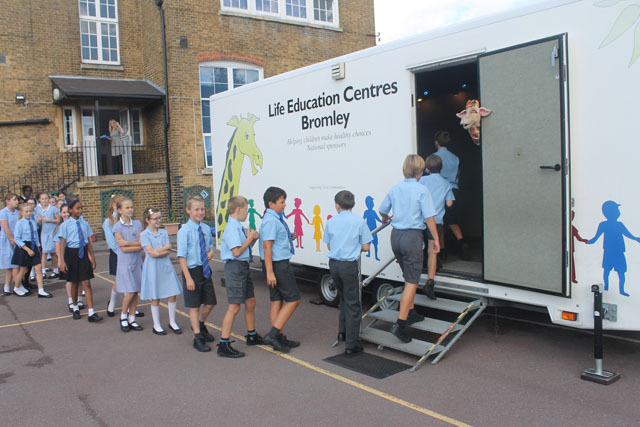 Raglan Primary School children had a visit from the Life Bus…. 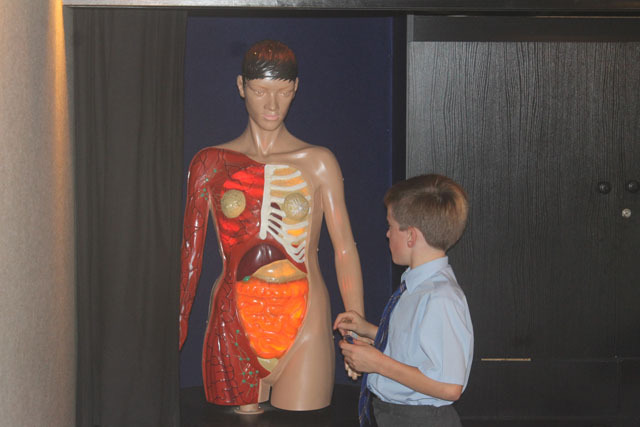 and a giraffe named Harold. 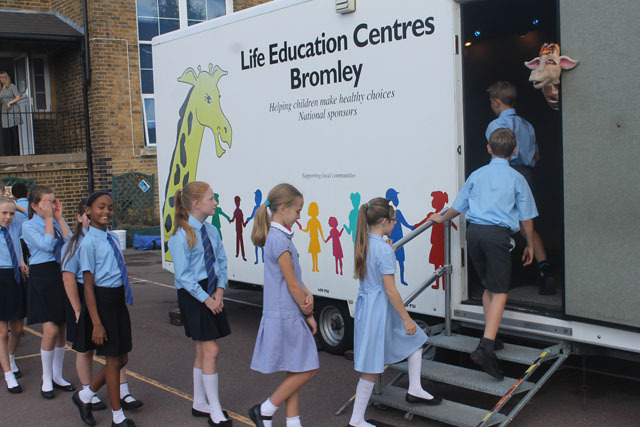 The Life Bus is an interactive mobile classroom designed to help schools deliver their health promotion, drug prevention and citizenship programs. 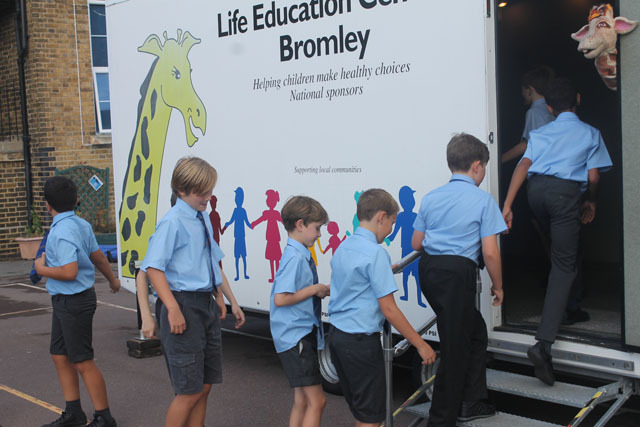 It is operated by the Life Education Centre (LEC) in Bromley, which encourages the children to make healthy life choices. 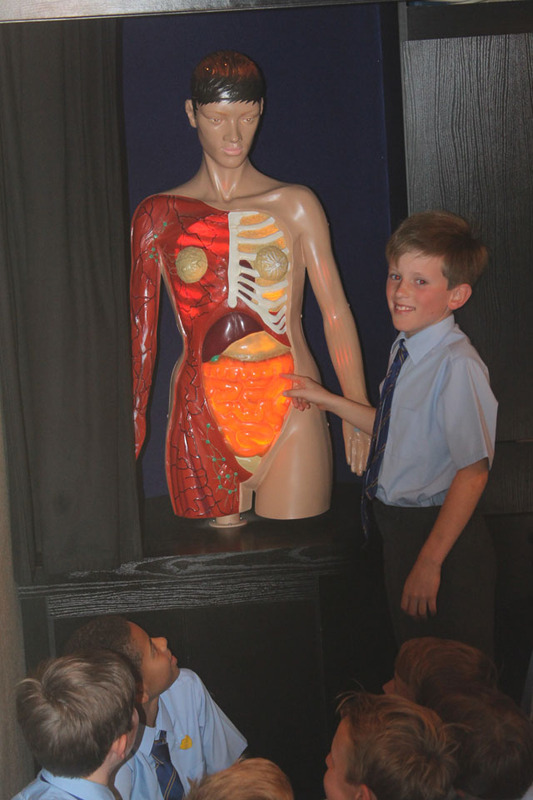 Programs are tailor-made by the LEC’s highly-trained educators to suit the age of the children in the group so, for example, a classroom of 4 and 5 year-olds will learn about how their body works and what it needs to stay healthy, whereas a classroom of 10 to 11 year-olds will explore the effects of drugs on the organs and the issues of peer pressure. 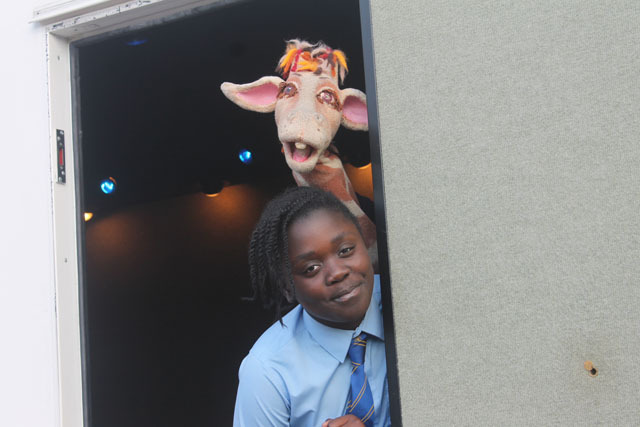 A variety of audio-visual techniques are used, including a puppet giraffe called Harold, a talking brain, drama, songs and role-play. 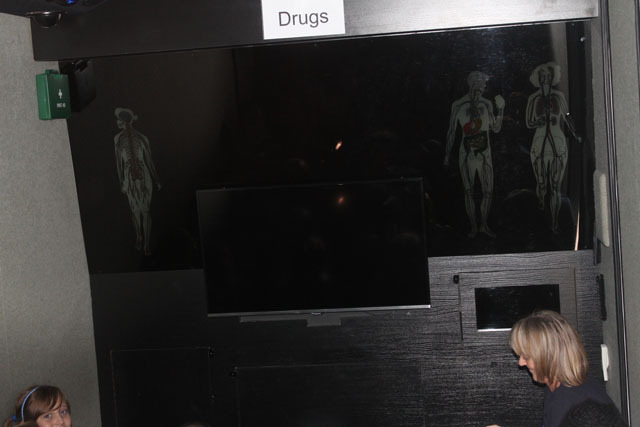 LECs is a unique federation of charities, providing inspirational programs as a community response to drug problems. 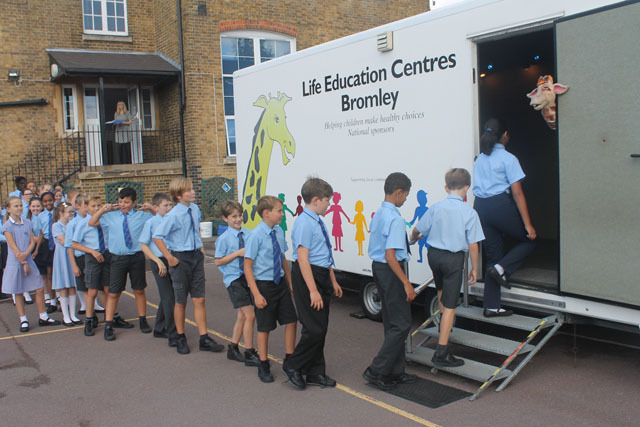 It was established in the UK in 1987 and is now a leading charity provider of health education in primary schools. 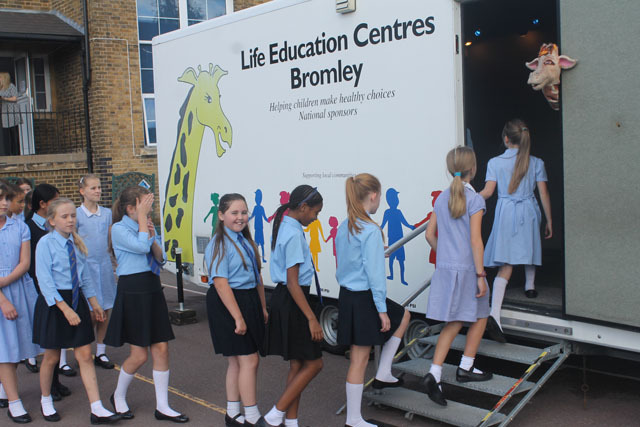 Its mission is to help children make healthy choices about their well-being by encouraging positive attitudes to health, providing information about how they function as human beings and how they can stay healthy. 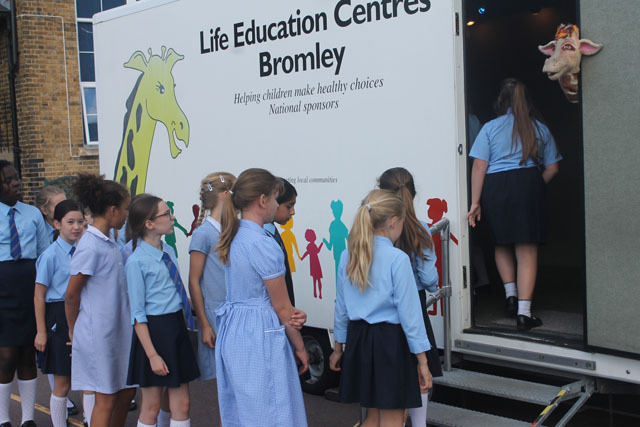 To find out more about the Life Education Centres, click HERE.